Dhaka, 10 Dec, Abnews: Prime Minister Sheikh Hasina has reached Dubai en route to Paris on a three-day official visit to France to attend the One Planet Summit. An Emirates flight carrying the prime minister and members of her entourage landed at Dubai International Airport here at 1:20 pm local time. She is scheduled to reach the Charles De Gaulle International Airport in Paris at 7:30 pm (local time) today. 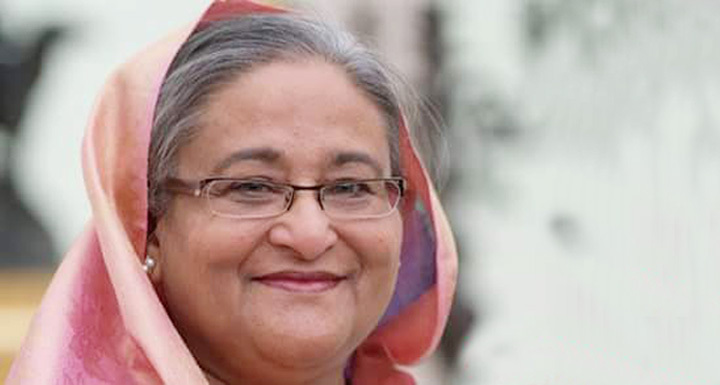 The Bangladesh premier will join the One Planet Summit in Paris at the invitation of French President Emmanuel Macron, UN Secretary General Antonio Guterres and World Bank President Jim Yong Kim.